“We need to know our history,” Bishop Nicholas DiMarzio said May 2 in his homily at Transfiguration Church in Williamsburg. 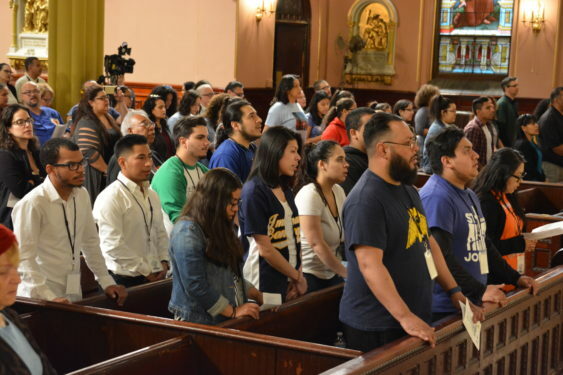 The Mass marked the closing of the 50th anniversary year in Brooklyn for the Movimiento de Jornadas de Vida Cristiana, or Journeys of Christian Life Movement. The first Jornada retreat for women was “lived” – as members of the movement say – in 1967, the first one for men was held in 1972. In Spanish-speaking countries, the nickname for a kid named “Jesus” is “Chuito.” And that’s how Jornadistas call Jesus. The new generation feels comfortable in English but they speak “the same language” as the founders of the movement in Spain. Juan Rosa, from Our Lady of Sorrows, Corona, is the American-born son of Dominican parents. He has been a Jornadista for 11 years, since he was 16. The choir at the anniversary Mass sang in English and Spanish. 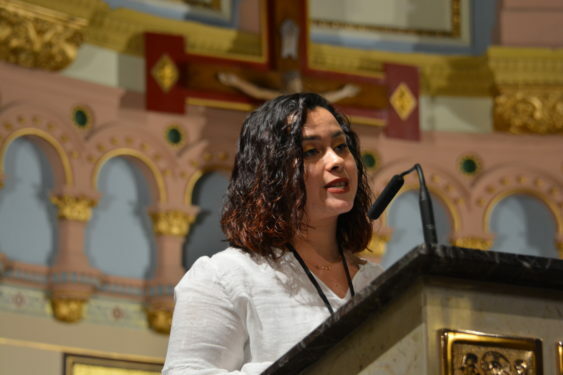 One of the leading voices was Melanie Feliciano’s, a 25-year-old parishioner of St. Dominic’s, Bensonhurst, who is the current president of the movement. “I started getting involved with Jornadas when I was 13 years old. I lived my Jornada when I was 17. I’m 25 now so it has been a big part of my life and a big blessing,” she said. For the Hispanic community, and for the Church in the United States at large, it could also mean an answer to a very important question: How to integrate the second generation of Hispanic Catholics to the Church in the United States. Hispanic immigrants are mostly Catholic and feel more comfortable participating in Mass in Spanish. But their children learn the language of the land and the ways of the new culture – and many times that means leaving the Catholic Church, losing their Catholic faith. La Jornada has given me the life I live & enjoy today! Meeting “CHUITO” & getting to know HIM on a very personal level made me the brother, man, husband, father, father-in-law, & grand father I am today! Thank you Lord for guiding me to the Wonderful Brother-&-Sister Hood that is El Movimiento de Jornada de Vida Cristiana. 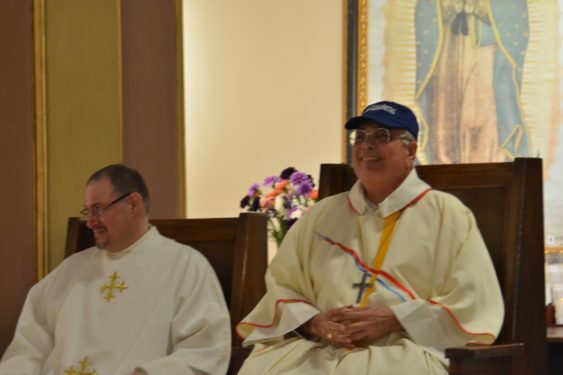 The Jornada is ALIVE & WELL and living in the Diocese of Bklyn/Queens! Come join us!! In Spanish or English… CHUITO has your back!! JORNADISTA…PRESENTE!! !